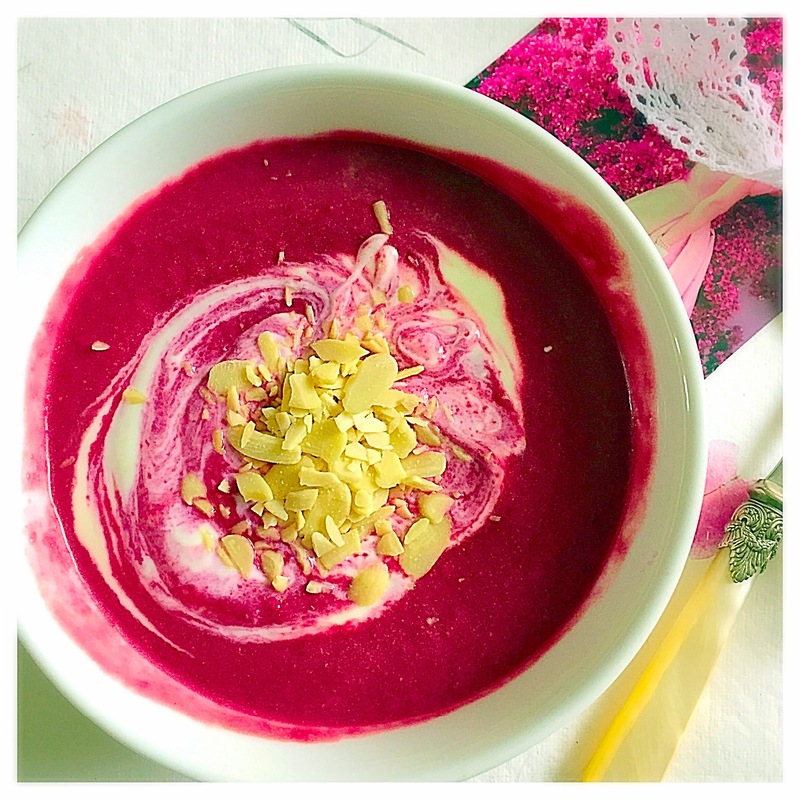 This smoothie bowl not only looks pretty, it does wonders for your skin. It is made from raspberries, beetroots, coconut water, coconut oil, and coconut nectar. Beets are high in important vitamins and minerals: potassium, magnesium, phosphorus, iron and vitamin A, B, and C. They cleanse the body, help your mental health and are a natural aphrodisiac! The smoothie is deliciously creamy and thick, and not too sweet. If you prefer it sweeter, add more coconut nectar. Place all ingredients into a blender and whiz until smooth. Serve immediately.